The Writ Petition is filed under Article 226 of the Constitution of India challenging the constitutional validity of Section 2(11) of the Bombay Sales Tax Act 1954 and seeking appropriate declaration that the provisions of the explanation to Section 2(11) of the said Act are unconstitutional, ultra vires, null and void. The Writ Petition also seeks appropriate orders and directions from this Court prohibiting the Respondents from levying or collecting, demanding or recovering sales tax under the said Act on sales effected by the Petitioner under Section 61 and 62 of the Port Trust Act. The Petitioner’s main contention in the Writ Petition is that the sale of goods by the Petitioner is in pursuance of their statutory functions under the Port Trusts Act and these sales are not executed by the Petitioners as a matter of business for commercial enterprise but by way of administering and managing the port of Bombay. The Petitioner has accordingly submitted that they are not carrying on any business of buying or selling goods. The Petitioner has accordingly contended in the Petition that they are not entitled to pay tax on the sale of goods effected by them under the Bombay Sales Tax Act 1954. 30. A well-known principle that in the field of taxation, the legislature enjoys a greater latitude for classification, has been noted by this Court in a long line of cases. Some of these decisions are Steelworth Ltd. Vs. State of Assam, Gopal Narain V.s State of U.P., Ganga Sugar Corpn, Ltd. Vs. State of UP., R.K. Garg Vs. Union of India and State of W.B. V. EITA India Ltd.
We are therefore of the view that the legislature having greater latitude for classification in taxing statute was competent in amending Section 2(11) of the said Act and thus there is no merit in the challenge to the constitutional validity of Section 2(11) of the Bombay Sales Tax Act 1954. 1. The Petitioner is a body corporate originally established under the Bombay Port Trusts Act, 1979 and now constituted under the provisions of the Major Port Trust Act, 1963 (for short “the Port Trust Act”). The second, third and fourth Respondents are officers of the first Respondent, carrying on duties and performing functions under the provisions of Bombay Sales Tax Act 1954 (in short “the said Act”). 2. The Writ Petition is filed under Article 226 of the Constitution of India challenging the constitutional validity of Section 2(11) of the said Act and seeking appropriate declaration that the provisions of the explanation to Section 2(11) of the said Act are unconstitutional, ultra vires, null and void. The Writ Petition also seeks appropriate orders and directions from this Court prohibiting the Respondents from levying or collecting, demanding or recovering sales tax under the said Act on sales effected by the Petitioner under Section 61 and 62 of the Port Trust Act. (c) if any lien of any ship-owner for freight or other charges of which notice has been given has not been discharged and if the person claiming such lien for freight or other charge has made to the Board an application for such sale. (2) Before making such sale, the Board shall give ten days’ notice of the same by publication thereof in 2 [the Port Gazette, or where there is no Port Gazette, in the Official Gazette] and also in at least one of the principal local daily newspapers: Provided that in the case of animals and perishable or hazardous goods, the Board may give such shorter notice and in such manner as, in the opinion of the Board, the urgency of the case admits of. (3) if the address of the owner of the goods has been stated on the manifest of the goods or in any of the documents which have come into the hands of the Board, or is otherwise known notice shall also be given to him by letter delivered at such address, or sent by post, but the title of a bona fide purchaser of such goods shall not be invalidated by reason of the omission to send such notice, nor shall any such purchaser be bound to inquire whether such notice has been sent. (b) “controlled goods” means goods the price or disposal of which is regulated under any law for the time being in force. (1) Notwithstanding anything contained in this Act, where any goods placed in the custody of the Board upon the landing thereof are not removed by the owner or other person entitled thereto from the premises of the Board within one month from the date on which such goods were placed in their custody, the Board may, if the address of such owner or person is known, cause a notice to be served upon him by letter delivered at such address or sent by post, or if the notice cannot be so served upon him or his address is not known, cause a notice to be published in 1[the Port Gazette or where there is no Port Gazette, in the Official Gazette] and also in at least one of the principal local daily newspapers, requiring him to remove the goods forthwith and stating that in default of compliance therewith the goods are liable to be sold by public auction 2[or by tender, private agreement or in any other manner]:— (1) anything contained in this Act, where any goods placed in the custody of the Board upon the landing thereof are not removed by the owner or other person entitled thereto from the premises of the Board within one month from the date on which such goods were placed in their custody, the Board may, if the address of such owner or person is known, cause a notice to be served upon him by letter delivered at such address or sent by post, or if the notice cannot be so served upon him or his address is not known, cause a notice to be published in 1[the Port Gazette or where there is no Port Gazette, in the Official Gazette] and also in at least one of the principal local daily newspapers, requiring him to remove the goods forthwith and stating that in default of compliance therewith the goods are liable to be sold by public auction 2[or by tender, private agreement or in any other manner]\:” Provided that where all the rates and charges payable under this Act in, respect of any such goods have been paid, no notice of removal shall be so served or published under this sub-section unless two months have expired from the date on which the goods were placed in the custody of the Board. (2) The notice referred to in sub-section (1) may also be served on the agents of the vessel by which such goods were landed. (3) If such owner or person does not comply with the requisition in the notice served upon him or published under sub-section (1), the Board may, at any time after the expiration of two months from the date on which such goods were placed in its custody, sell the goods by public auction 2[or in such cases as the Board considers it necessary so to do, for reasons to be recorded in writing sell by tender, private agreement or in any other manner] after giving notice of the sale in the manner specified in sub-sections (2) and (3) of section 61. (a) the Board may, in the case of animals and perishable or hazardous goods, give notice of removal of such goods although the period of one month or, as the case may be, of two months specified in sub-section (1) has not expired or give such shorter notice of sale and in such manner as, in the opinion of the Board, the urgency of the case requires;(b) arms and ammunition and controlled goods may be sold in accordance with the provisions of sub-section (4) of section 61.
notification in the Official Gazette, exempt any goods or classes of goods from the operation of this section. 4. The Petitioner’s main contention in the Writ Petition is that the sale of goods by the Petitioner is in pursuance of their statutory functions under the Port Trusts Act and these sales are not executed by the Petitioners as a matter of business for commercial enterprise but by way of administering and managing the port of Bombay. The Petitioner has accordingly submitted that they are not carrying on any business of buying or selling goods. The Petitioner has accordingly contended in the Petition that they are not entitled to pay tax on the sale of goods effected by them under the said Act. 5A) “business” includes any trade, commerce or manufacture or any adventure or concern in the nature of trade, commerce or manufacture whether or not such trade, commerce, manufacture, adventure or concern is carried on with a motive to make gain or profit and whether or not any gain or profit accrues from such trade, commerce, manufacture, adventure or concern,and any transaction in connection with, or incidental or ancillary to the commencement or closure of such trade, commerce, manufacture, adventure or concern. also any society, club or other association of persons which buys goods from or sells goods to, its members. (k) any other corporation, company, body or authority owned or set-up by, or subject to administrative control of, the Central Government or any State Government. He has submitted that the words “Port Trust” included in the explanation to Section 2(11) was added by way of amendment vide Mah.11 of 1992 and brought into force by Mah. 18 of 1994 with effect from 1st April 1994. He has submitted that the explanation was added by Mah.24 of 1985 with effect from 16th August 1985. He has also drawn this Court’s attention to Section 9 of the said Act, which provides for levy on turnover tax on goods of certain ‘dealers’ and the rate at which turnover tax is to be levied where the turnover of either all sales or all purchases by any dealer liable to pay tax is within the specified amounts. He has submitted that Section 22 of the said Act provides for registration and that no “dealer” is liable to pay tax for carrying on business as a dealer unless he possesses a valid certificate of registration as provided by the said Act. Mr. Makhija has relied upon the judgment of the Supreme Court in the case of State of T. N. Vs. Board of Trustees of the Port of Madras 1 in support of his contention that the Port Trust is not involved in any activity of “carrying on business”. The Supreme Court had in that decision held that port trust is not involved in any activity of “carrying on business” and held in paragraph 45 that, the conclusions of the Madras High Court in State of Madras Vs. Trustees of the Port of Madras reported in (1974) 34 STC 135 (Mad.) and the decision of Andhra Pradesh High Court in Board of Trustees of the Visakhapatnam Port Trust Vs. CTO reported in (1979) 43 STC 36 (AP) holding that sales by the port trust are not eligible to tax, are correct, for the reasons given by the Supreme Court in the said decision. He has submitted that in the said decision of the Supreme Court, it has been held that if the main activity carried on by the port trust was not a business then the incidental or ancillary activities to the main “non-business” activities cannot be treated as “business” within the meaning of the said expression appearing in the T.N. General Sales Tax Act, 1959 (the Act which was in consideration in the case). (f) a tax on the supply, by way of or as part of any service or in any other manner whatsoever, of goods, being food or any other article for human consumption or any drink (whether or not intoxicating), where such supply or service, is for cash, deferred payment or other valuable consideration, and such transfer, delivery or supply of any goods shall be deemed to be a sale of those goods by the person making the transfer, delivery or supply and a purchase of those goods by the person to whom such transfer, delivery or supply is made. “7. There were reports from State Governments to whom revenues from sales tax have been assigned, as to large scale avoidance of Central Sales Tax leviable on inter-State sales of goods through the device of consignment of goods from one State to another and as to the leakage of local sales tax in works contracts, hire-purchase transactions, lease of films, etc. Though Parliament could levy a tax on these transactions, as tax on sales has all along been treated as an item or revenue to be assigned to the States, in regard to these transactions which resemble sale also, it is considered that the same policy should be adopted. judgment in the Associated Hotels of India case and the commencement of the present Amendment Act if the conditions mentioned in sub-clause (2) of clause 6 of the Bill are satisfied. In the case of food or drink supplied by Restaurants this relief will be available only in respect of the period after the date of judgment in the Northern India Caterers (India) Limited case and the commencement of the present Amendment Act. He has relied on the judgment of Supreme Court Bhopal Sugar Industries Ltd. M.P. Vs. D.P. Dube 2 in support of this contention. It has been held in that decision that a transaction which does not confirm to the definition of sale of goods within the meaning of the Sale of Goods Act, the State legislature is not competent to impose liability for payment of tax. He has also relied upon the judgment of the Supreme Court in the case of M/s. New India Sugar Mills Ltd. Vs. Commissioner of Sales Tax, Bihar 3 which has gone into the definition of sale. Mr. Makhija has relied upon decision of the Supreme Court in M/s. Sunrise Associates V. Govt. of N.C.T. Of Delhi & Ors. 4 to contend that for a transfer of goods under the said Act, there must be a transfer of title or ownership in the said goods. This decision was in the context of a Lottery Tickets and it was held that a sale of lottery ticket did not involve the sale of goods under the said Act. He has relied upon the judgment of the Supreme Court in M.P. Cement Manufacturers’ Association Vs. State of M.P. & Ors. 5 in support of his contention that an explanation cannot be read as changing or interfering with the incidence of the levy. He has submitted that by virtue of the explanation 2(11) of the said Act port trust has been included in as “dealer” despite the port trust not carrying on any business which is an essential ingredient in the definition of “dealer”. Mr. Makhija has also relied upon Section 63(2) of the Maharashtra Major Port Trust Act which provides for the application of the proceeds of sale under Section 61 or 62 of the Major Port Trust Act and in the event there being a surplus in the proceeds, the surplus shall be paid to the importers, owner or consignee of the goods or his agent on application made by the concerned persons within six months from the date of the sale of the goods. He has contended that since the port trust does not retain the proceeds of sale, one of the elements of sale mentioned above are not met. He has contended that the explanation to Section 2(11) of the Port Trust Act by adding words “Port Trust” is beyond the legislative competence of the State and is therefore, unconstitutional ultra vires, null and void. “54. Taxes on the sale of petroleum crude, high speed diesel, motor spirit (commonly known as petrol), natural gas, aviation turbine fuel and alcoholic liquor for human consumption, but not including sale in the course of inter-State trade or commerce or sale in the course of international trade or commerce of such goods”. “22. It is further pertinent to notice that the T.N. Act was amended by Act 22 of 2002 whereby Explanation (3) was added to definition clause 2(g) of the T.N. Act. By the said amendment the Madras Port Trust has now been declared as a dealer under the T.N. Act. Explanation (3) states that if the port trust disposes of any goods including unclaimed or confiscated or unserviceable or scrap surplus, old or obsolete goods or discarded material or waste products whether by auction or otherwise directly or through an agent for cash or for deferred payment or for any other valuable consideration, notwithstanding anything contained in the T.N. GST Act, it shall be deemed to be a dealer for the purpose of the Act. Therefore, by the Amendment Act the legislature has specifically brought in Port Trust also within the definition of “dealer” under Section 2(g) of the Act and thus, the substratum of the judgment in Madras Port Trust case has been lost”. 10. He has submitted that the explanation to Section 2 (11) of the said Act brought about by the amendment contains a non- obstante clause and by which inter alia, the port trust is deemed to be a dealer, notwithstanding anything contend in Clause (5A) or any other provisions of the said Act. This would, therefore, imply that, the port trust would be deemed to be a dealer despite the port trust not carrying on business. The judgment in Madras Port (Supra) has accordingly been held by the Supreme Court in Cochin Port Trust (Supra) to have lost its substratum. The learned APP has relied upon the judgment of this Court in the Controller of Stores, Central Railway, Bombay Vs. The Commissioner of Sales Tax, Maharashtra State 7 wherein the Explanation to Section 2(11) of the said Act which had included “Railway Administration” in “dealer” has been held to be clarificatory and that Indian Railways represented by the Controller of Stores is a dealer. The learned APP has also relied upon the decision of the Supreme Court in the case of Federal Bank Ltd & Ors. Vs. State of Kerela & Ors 8. wherein it has been held that a sale of pledged ornament for consideration falls in the course of business of the bank and banks are dealers by virtue of amendment and liable to pay service tax. The learned APP has also relied upon the decision of the Supreme Court in the case of State of Madhya Pradesh Vs. Rakesh Kohli & Anr 9. He has submitted that legislature in taxation statutes enjoys greater latitude for classification as held in that decision and that the explanation to Section 2(11) of the said Act is within the legislative competence of the State. The learned APP also relied upon the decision of this Court in Lalbaugcha Raja Sarwajanik Ganeshotsav Mandal Vs. 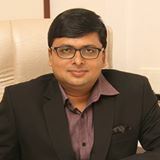 The State of Maharashtra 10, wherein a Division Bench of this Court considered the explanation to Section 2(8) of the MVAT Act, 2002 which is the pari materia to Section 2(11) of the said Act and had rejected the challenge of the Appellant and held that an auctioneer even if it was a public charitable trust will be a dealer by virtue of the deeming fiction in Clause (iv-a) of Section 2(8) of MVAT. This Court dismissed the Appeal being devoid of merits. 13. We are therefore of the view that the legislature having greater latitude for classification in taxing statute was competent in amending Section 2(11) of the said Act and thus there is no merit in the challenge to the constitutional validity of Section 2(11) of the said Act. 14. We accordingly dismiss the Writ Petition with no order as to costs.